Similar to Google™, CheckVideo’s Intelligent search engine allows you to quickly search for specific events. Why spend hours of time searching through video investigations? Find what you need instantly with CheckVideo. 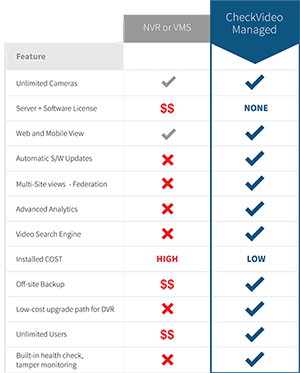 Watch this video to see how you can save hours of time on your video investigations by using CheckVideo’s intelligent search engine. Want to learn more? Fill out the form to sign up for our webinar.